Thousands of kids in costumes will be out trick or treating in the metro Wednesday, hoping to collect as much candy as they can. And while kids are looking for treats, parents need to be on the lookout for tricks. 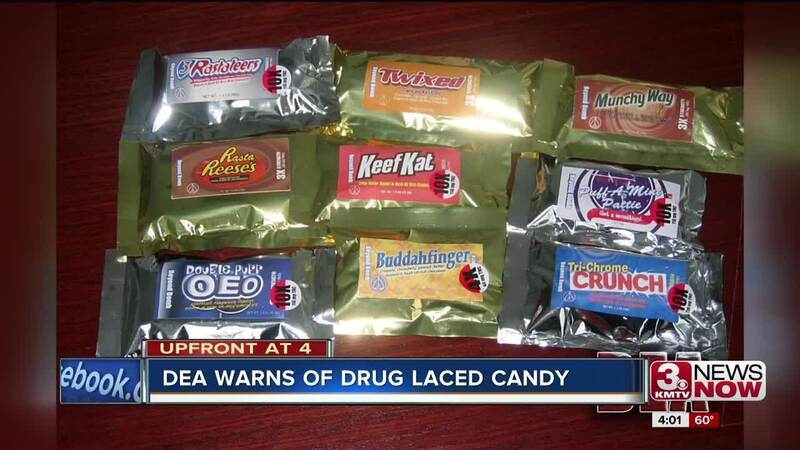 "Typically, a marijuana-infused candy will mimic a legitimate candy package, they'll be an off-shoot of the name, like instead of Kit-Kat it will be Keef-Kat, but the packaging at first glance will be very similar,” said Steven Bell, assistant special agent in charge with the Drug Enforcement Administration's Omaha division . 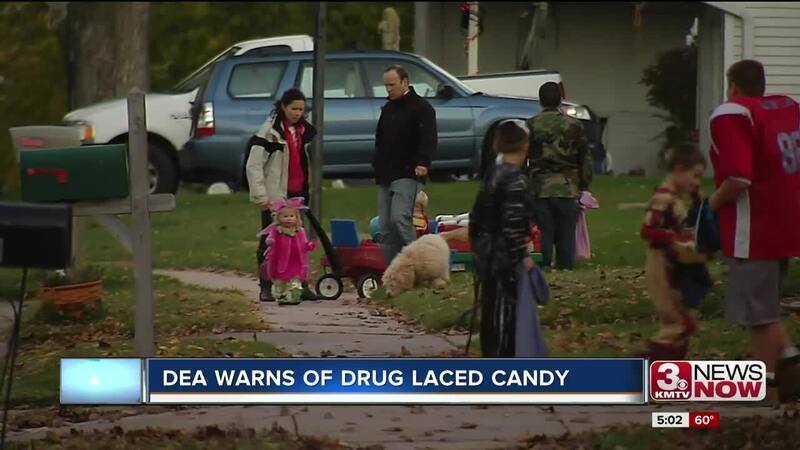 The DEA says agents have seen an uptick in laced candy across the state. And while there is no active investigation in Omaha right now, they want parents to know what to watch for. "Typically, marijuana-infused edibles are chocolate based, cake based, usually methamphetamine infused candies are suckers and gummy bears,” Bell said. 3 News Now showed parents photos from the DEA of laced candies that resemble popular treats. We asked whether they were concerned about finding them in their children’s' candy bucket tonight. “If you do a thorough check, no; but maybe if you just look for opened and unopened, maybe yeah,” said mom Monica Wilcox. “Most of it is prepackaged anyways, and the stuff that isn't is usually from people in my neighborhood and people I know, so I don't think it's a huge deal,” said dad Greg Eckstrom. The DEA says Halloween is all about having fun, and they don't want to scare parents, but a few simple rules can make it a fun night for all. In addition to checking candy they recommend parents be present when their children receive the candy too, so they know who it's coming from. "We want everybody to go out and have a great time and collect lots of candy, we just want parents and kids especially to be cautious that there are products out there that can cause them ill will,” said Bell. Bell says if you find any candy that is suspicious the best thing to do is throw it out or contact your local law enforcement, so they can test the candy to see if it is laced with any type of drug.